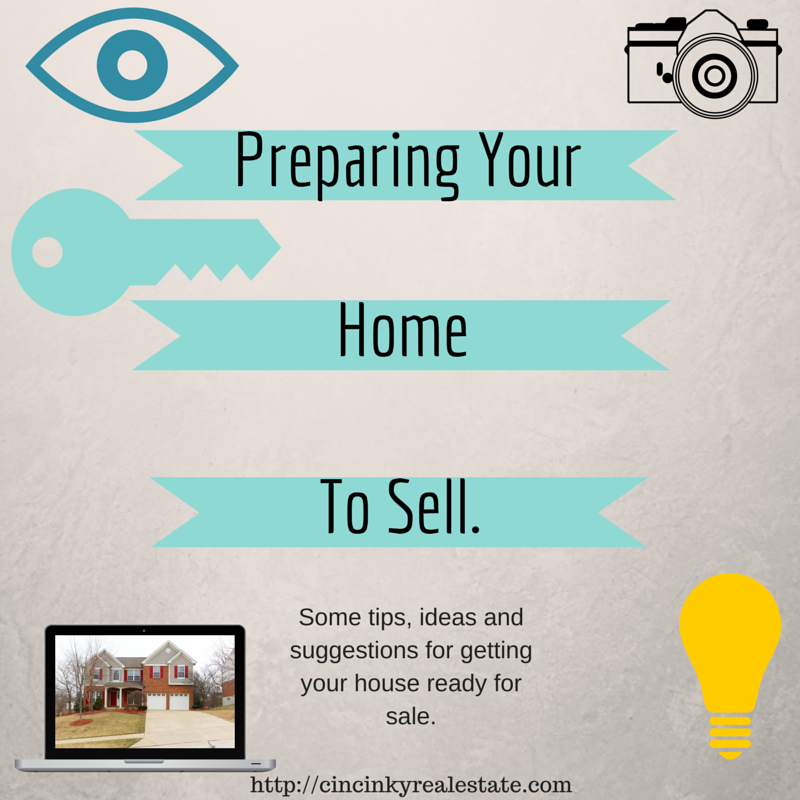 There are many ways you can prepare your home to sell. Some ways involve large out of pocket expenditures and talking to many different contractors to handle it details. Other ways involve the 100% do it yourself (DIY) method, which while not that costly can quickly become backbreaking work and may not be recommended depending on a person's skill level. Regardless the end result is that preparing your home to sell is something you should do if you want to sell your home in the least amount of time and for the best price. Failing to do some of the suggested steps may result in you coming back here to read my article entitled "6 Reasons Why Your Home Did Not Sell". The basic fact is hard to refute, an unkempt dirty home will sell for less than an equivalent home that has been maintained, decluttered and cleaned up from top to bottom. Often times people are looking for a home that they can move into without having to put much effort into making it livable for them. Yes there are the occasional investor type or handyperson who wants to save money and buy a fixer upper. The key there being that they want to save money, which means the sellers will get less money for their fixer upper home. Many homeowners are confronted with the question of when is the ideal time to sell their house. Often times I hear homeowners saying that they think late spring or early summer is best since that is when they think there will be the most buyer traffic. But the Hamilton County, Ohio (Cincinnati) 2014 statistics suggest that March-April is in fact the better time frame to list your house for sale. The highest peak of homes in pending status in the Hamilton County, Ohio area was in the months of March and April 2014. Homes in a pending status means that an offer was made and accepted but the paperwork on financing, inspections and more are still in process. More buyers are out in force during the months of March and April looking to make an offer on a house. As spring and summer move on, buyers are dropping out of the house hunt game due to factors like having already made an offer, vacations, and loss of interest due to not finding anything that suited their needs. While the above graph is for the Hamilton County, Ohio area the same trend can be found in most active real estate markets. The bottom line is that you should start getting your house ready for sale now in order to get it on the market during the ideal months of March and April. Listing anytime after that and you run the risk of losing out on potential buyers. So if you want to have your home on the market in March or April then now is the time to start getting your home ready. There are many things that should be done in preparation for your home sale. If you need an expert opinion on what you should do to get your house ready for sale or need to talk to a Realtor about selling your house contact today.